Scheffel’s Toys #2 | Historic Jacksonville, Inc. The brick building at the corner of California and Oregon streets that houses Scheffel’s Toys is the 6th structure at this location. The site was originally home to Kenny & Appler’s 1852 tent trading post, the first business in Jacksonville. By 1856, their tent had been replaced by a wooden store and then by a brick storehouse. In 1860, merchants Abraham and Newman Fisher acquired this prime corner location for their dry goods and general merchandise store. Fires consumed their stores in both 1868 and 1874. 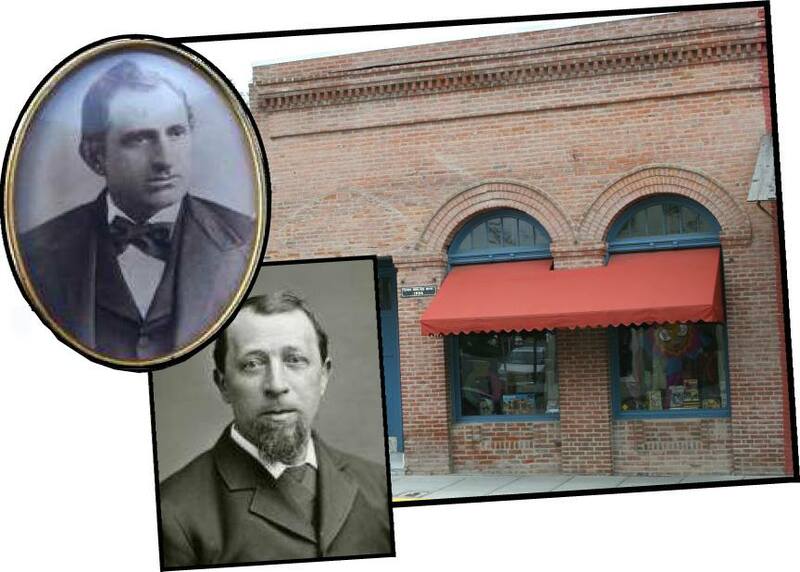 Despite a $28,000 loss in the latter conflagration, the Fisher brothers rebuilt, and the 1874 A. Fisher & Brothers structure still stands today.